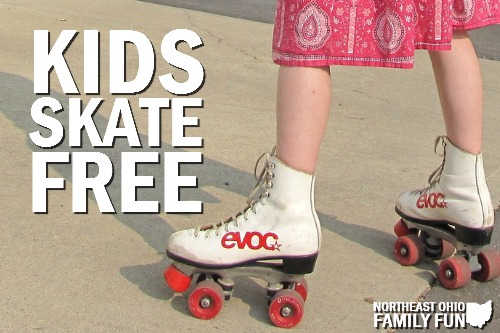 Kids Skate Free is a nationwide program that offers free roller skating all summer long. Currently there are only a handful of locations in the Northeast Ohio area that participate in this event. If your local skate center isn't participating, you can always print out this Kids Skate Free Flyer to request they join the program.